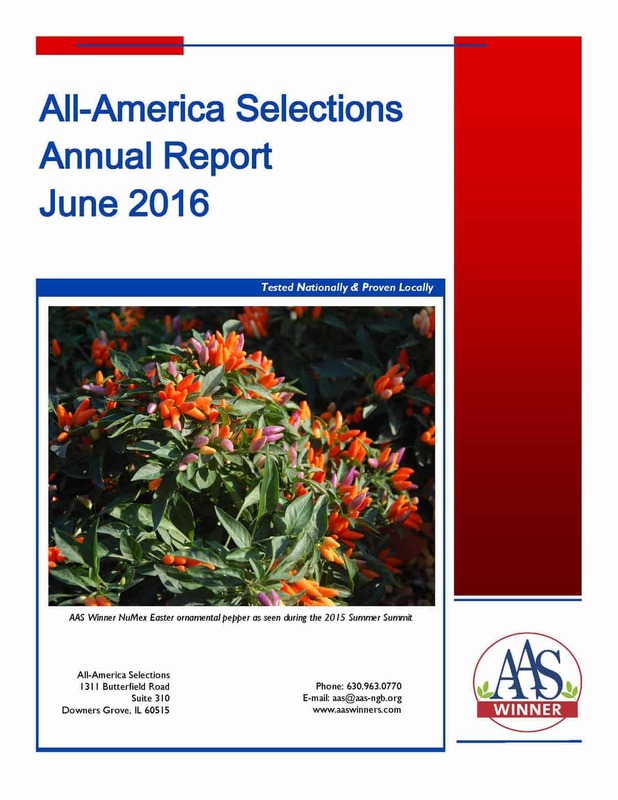 All-America Selections (AAS) has just released the 2015-2016 Annual Report reflecting the group’s activities from the past 12-18 months. For six years now, AAS has prepared a yearly statement of organizational updates including those of sister organization National Garden Bureau. • A large number of AAS Winners introduced for 2015-2016. All questions and/or comments can be directed to AAS Executive Director Diane Blazek.